You've been wanting to make some clothing, and you've even got a pattern all picked out, but maybe you need a little bit of hand holding in the world of garment sewing. Suzanne and Julie have made just about all kinds of garments and stand ready to help you with whatever you need. Wherever you need help--reading a pattern, understanding markings and seam allowances, working with knits--we're here for you. 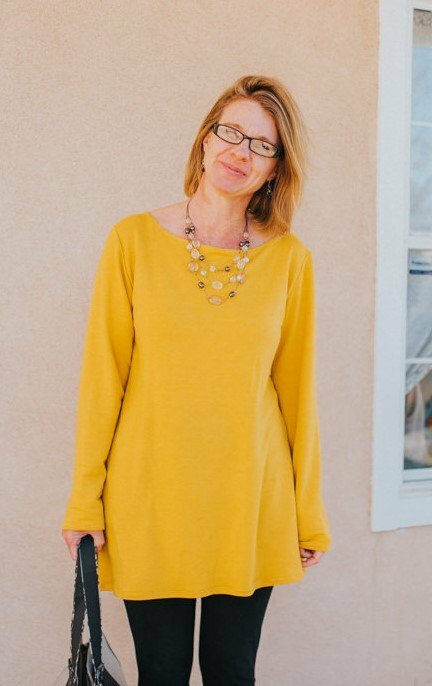 Suzanne has set up this series of classes to help you move ahead in garment sewing from wherever you are, and unlike a private lesson, you'll have the benefit to also learn as she teaches others in this small class setting. You'll need a garment pattern, fabric, and sewing notions. Suzanne recommends that all fabric be prewashed. You can either come in early before class and have Hip Stitch staff assist you in choosing your pattern and fabric, or use something that you already have. Beginning sewing skills required. This is not a class on learning to use your machine. Bring your machine (or use one of ours), scissors, pins, and matching thread. Requirements: Bring your pattern and fabric OR come in early and we will help you choose pattern and fabric (15% off if purchased for this class) . Pre-wash all fabric before class. Email susan.hipstitchabq@gmail.com if you have questions about this class and please make sure that you have read the About Our Classes section on our website at https://www.hipstitchabq.com/about-our-classes.htm.